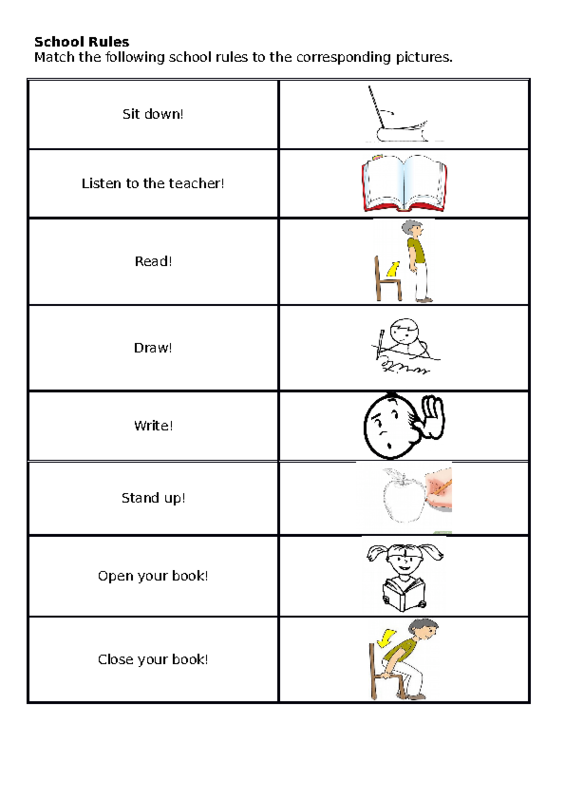 This worksheet is for young English learners to get acquainted with some school rules and commands. 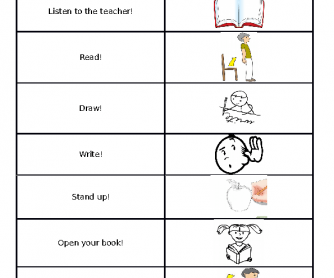 Children should read the command aloud and match it to the corresponding picture. Another oprion of using this worksheet is to fold the paper in half so that children see only the pictures and guess what a school command it is. Then they can check themselves looking at the other half of the paper.